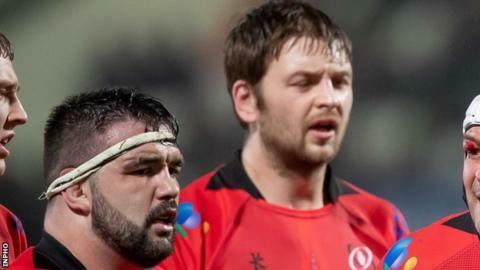 Ulster will make a late call on Iain Henderson's fitness for Saturday's European Champions Cup quarter-final against holders Leinster in Dublin. Henderson sprained a knee in Ireland's penultimate Six Nations game against France on 10 March and his fitness is said to be "touch and go". Experienced backs Will Addison and Louis Ludik will miss the European quarter-final because of injury. Marty Moore (concussion)and Darren Cave (ribs) are other fitness doubts. Cave's injury leaves Ulster with a potential problem in finding a centre partner for Stuart McCloskey. James Hume is no longer an option after fracturing an ankle in training last week which will rule him out for the rest of the season. Ulster coach Dan McFarland could be forced to look at including Ireland centre Luke Marshall in his squad even though he has not played a game this season following the cruciate ligament injury he sustained last May.